In the modern times, one of the most common health concerns is obesity. It is reported to be the root cause of many diseases such as hypertension or high blood pressure, heart attack and other cardiovascular issues. People who are overweight use various methods of weight loss such as a restricted diet plan, exercise, intake of supplements etc. 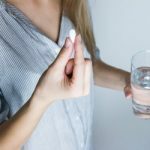 In our modern culture, while taking the supplements or weight loss pills there are a lot of considerations and controversies. Which method is exactly helpful for weight loss is always under debate. The slimming pills are considered as anti-obesity pills since they have a high potential to reduce the body weight and lowering the appetite but at the same time offering a high amount of energy to the body. According to research, the ideal slimming pills are exclusively natural or herbal which have no or least side effects on human health. There are a lot of weight loss supplements available in the market with a claim of efficient weight loss. These supplements such as Hoodia are regarded as efficient and most effective weight loss supplements are obtained in South Africa. There are thousands of weight loss supplements in the market with a different mechanism of actions, some help in speedy metabolism and fat burn, some of the supplements help to reduce appetite and some simply help to stimulate the production of enzymes in the body which trigger a fat breakdown. 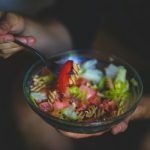 Read more about UK fat burner before deciding which supplement to use for effective weight loss. One of the main features of these supplements is the reduction in food cravings and offers the feeling of fullness and as a result, a person eats less resulting in loss of weight. 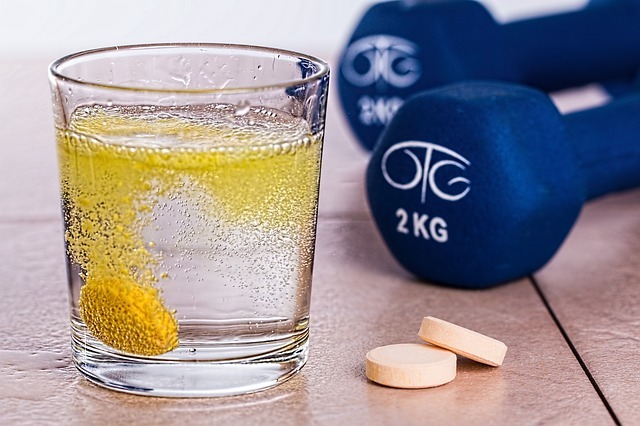 Whether to perform exercise or take these supplements is always debatable. It is however argued that exercise is the best option for weight loss as it tones up the body and makes a person healthy. On the other hand, diet supplements or pills are generally synthetic and they do show some side effects. Why is exercise better than diet supplements? There are a lot of supplements which can result in cardiac problems. While the effect of exercise on the heart is always healthy, exercise helps to regulate the blood pressure and level of cholesterol and triglycerides, stamina, heart recovery rate along with improved cardiovascular health. When a person performs exercise, the heart rate increases and it pumps the blood more efficiently to the body parts. In this way, exercise stays winner over drug based supplements for weight loss. Some supplements for weight loss are reported to be the cause of anxiety and depression. Sometimes the depression is as acute that can lead to suicide. On the other hand, when a person performs the exercise, it acts as a major stress reliever, a mood booster. Exercise enhances the activity of the brain. In this way, in order to fight against depression or disappointment moods, it is supposed to be neuro-chemical, on the other hand, it is a proven fact that exercise makes you feel good and healthy. Some forms of exercise which make you feel good are cycling, running, swimming and cardio. This gives exercise a positive point over the use of weight loss supplements. When the weight loss pills are taken, they work by blocking the absorption of fat which is linked with some serious TMI side effects. Since most of the weight loss supplements suppress the appetite and as a result person eats less. On the other hand, when a person performs exercise regularly it can lead to better eating. Since exercise makes you feel better, the health-specific willpower is also build up in the body and as a result, the person will avoid the intake of junk food and switches to the healthy food choices to fuel himself up for better and improved physical performance. Another advanced feature of exercise is that it works on the similar pathways of neuro-chemical rewards such as drugs and gambling. When the brain gets the sensation of reward via exercise it will no longer cause certain food cravings such as eating cheeseburger or ice cream. In this way, for the promotion of better eating practice in the body, you need to rely on exercise as compared to diet and weight loss supplements. Weight loss supplements help to reduce fats while the physical activity helps you to get rid of fat and makes the muscles strong. You might not get slimmer fast but you look way better and toned up with exercise. The body composition therefore increases, butts get tighter, arms get sexier and the belly is flattened. The same effect is not achieved with the help of weight loss supplements. You can get a better physique with exercise and increased physical activity. In this way, it can be concluded that exercise gets an edge over diet control measures and weight loss supplements. Weight loss supplements beat exercise in this way. When you perform the exercise you sweat profusely and you need shower and laundry afterward since clothes smell foul if not washed properly after work out. In this way, we can say that weight loss supplements have edge over exercise since no unpleasant odor is produced when supplements are taken. Weight loss supplements are hence effective to get rid of some extra pounds but exercise is always a better and healthier option. Since workout makes a person strong and results in the well-toned body, it is regarded as one of the most efficient ways to reduce weight. Weight loss supplements are generally synthetic and they show some undesirable effects especially when they are taken for a longer time.